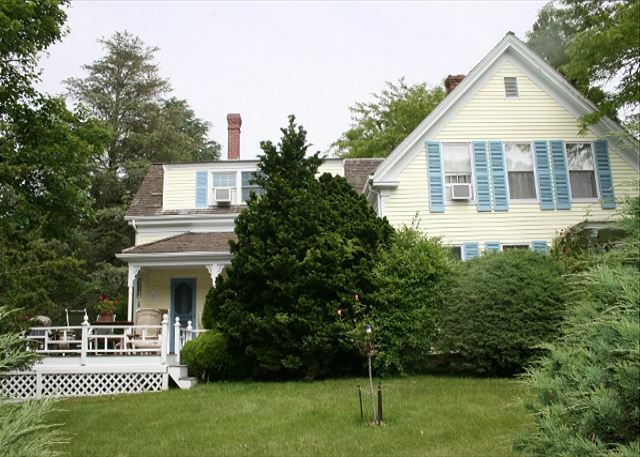 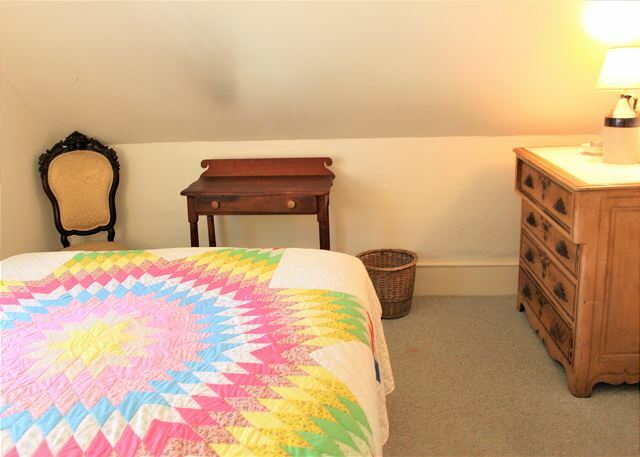 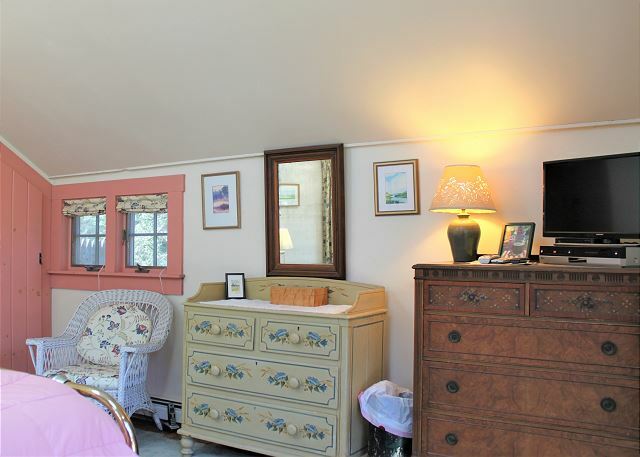 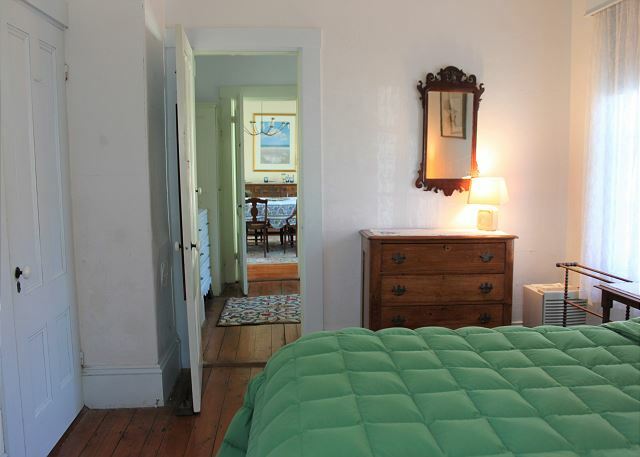 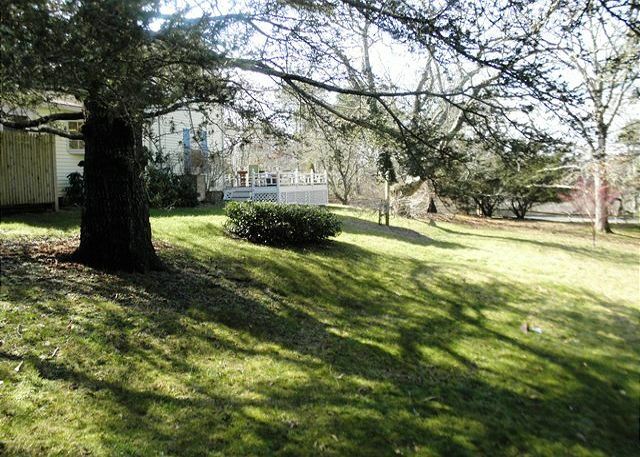 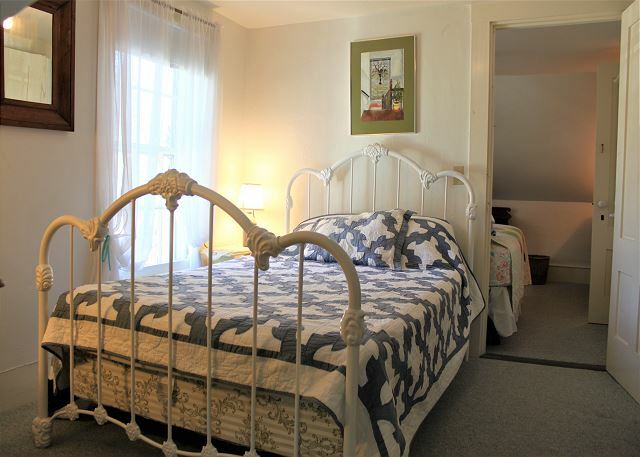 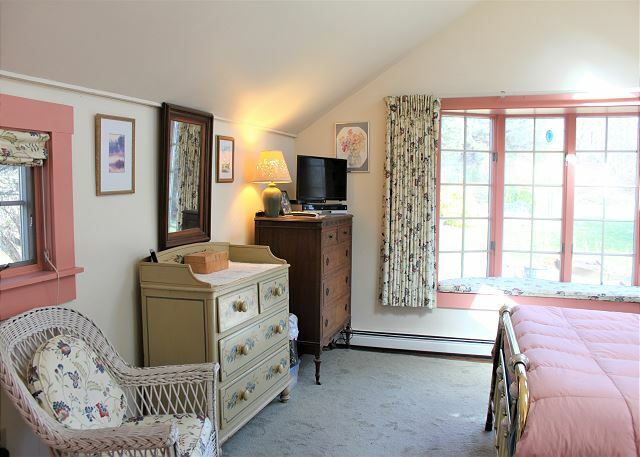 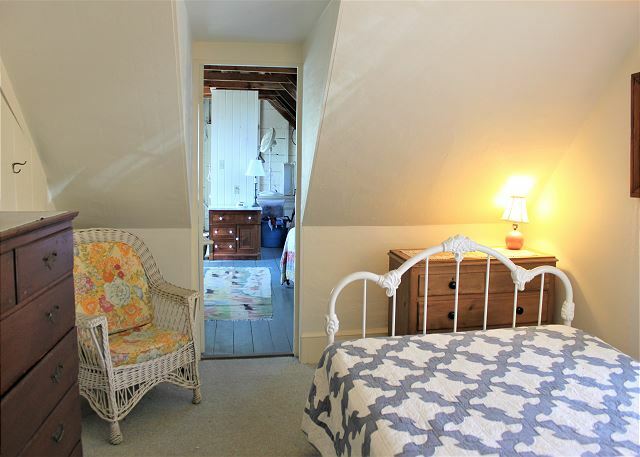 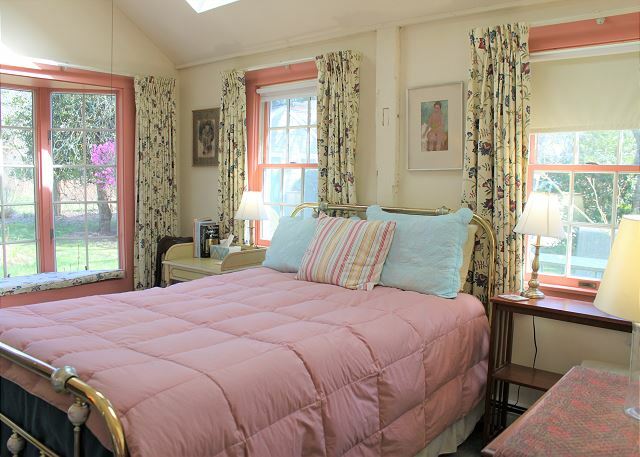 Historic 1860's antique Cape Cod home, perfect for groups or families with kids and/or pets! 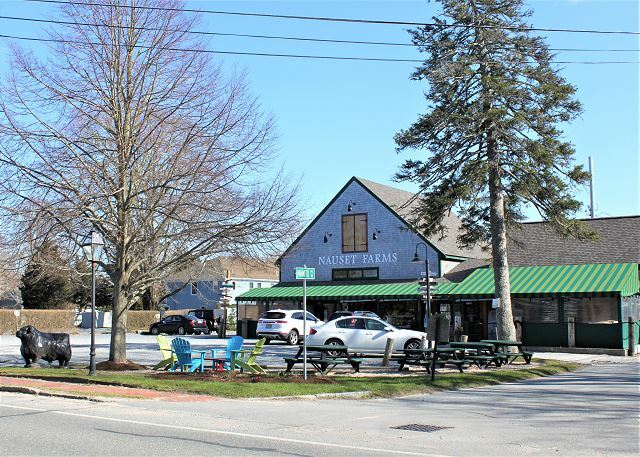 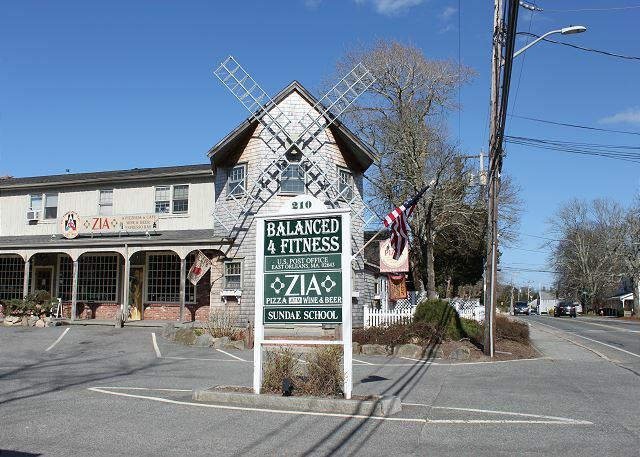 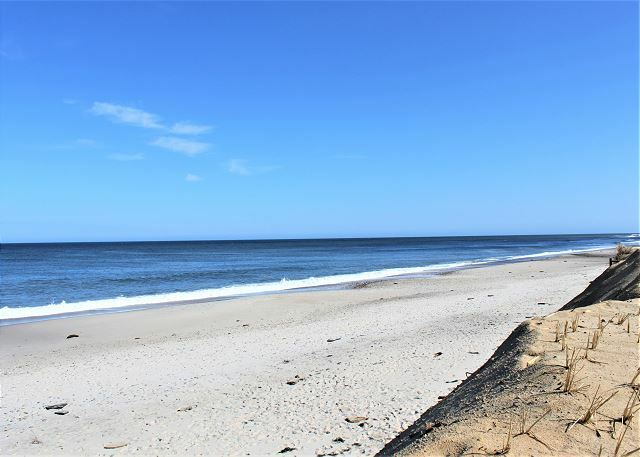 Located in the Pochet area of East Orleans and just a short distance to Nauset Beach, the charming village of East Orleans, and the clear, warm water at Crystal Lake! 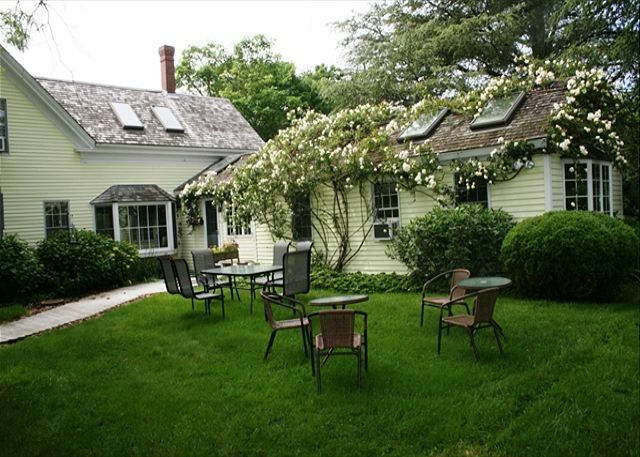 This Pet Friendly home is set on over an acre of privacy, surrounded by 2 acres of conservation land, where nature and gardens abound and sleeps up to 12 guests, in six bedrooms each with window A/C units. 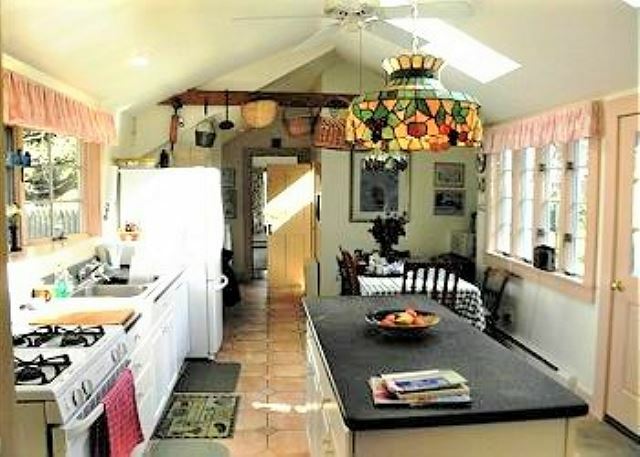 From a wooden walkway, enter the eat-in kitchen that is fully applianced with a well-stocked old fashion pantry and ceiling fan. 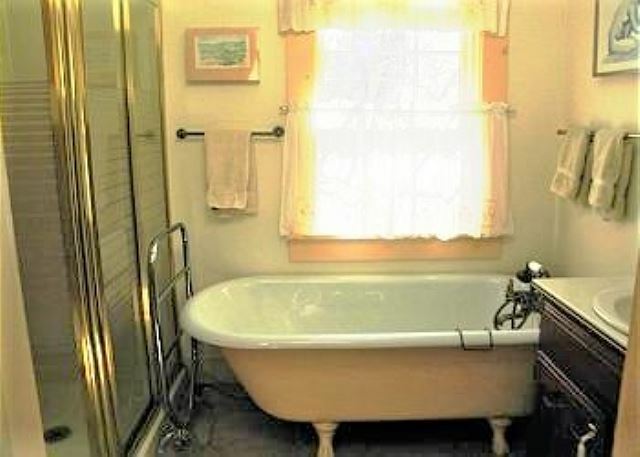 Off of the kitchen is the laundry area and the full bath with shower stall and separate antique tub. 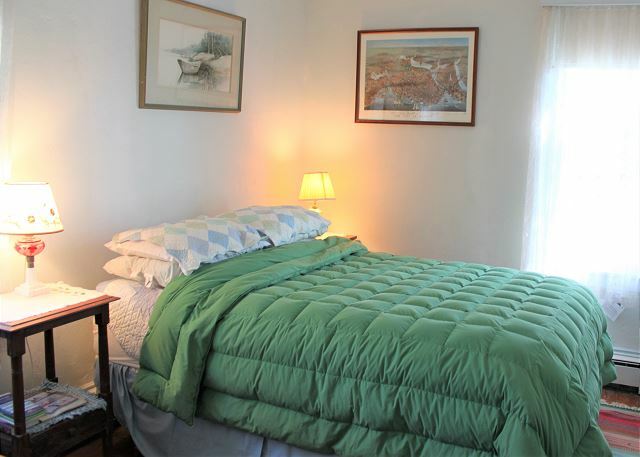 At the rear of the home is the 1st floor queen bedroom with peaceful garden views, ceiling fan, and 20" TV & DVD player. 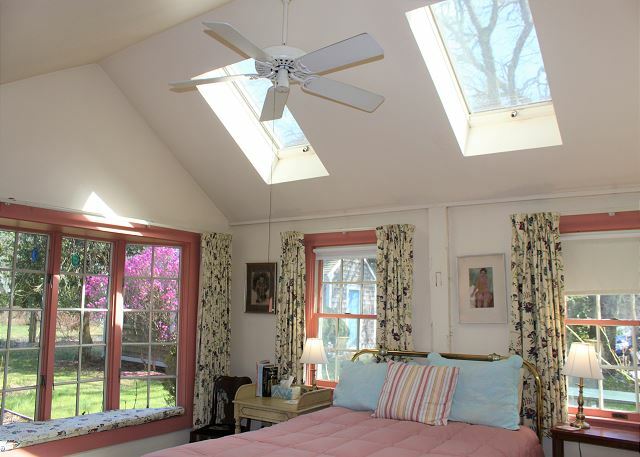 A second door from kitchen leads to the enclosed outdoor shower and pretty side yard offering sun and shade. 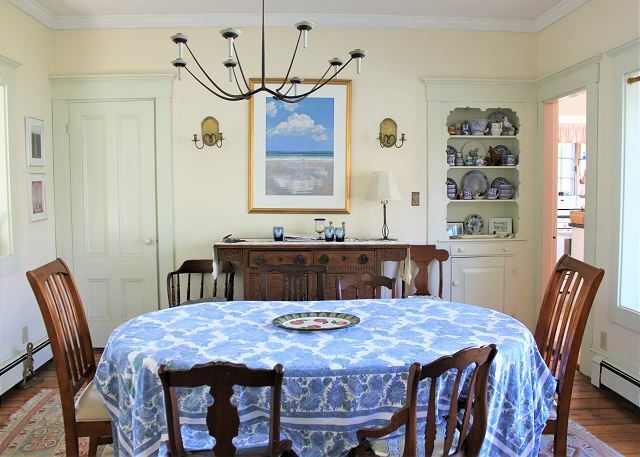 At the front of the home is the dining room with candle light chandelier! 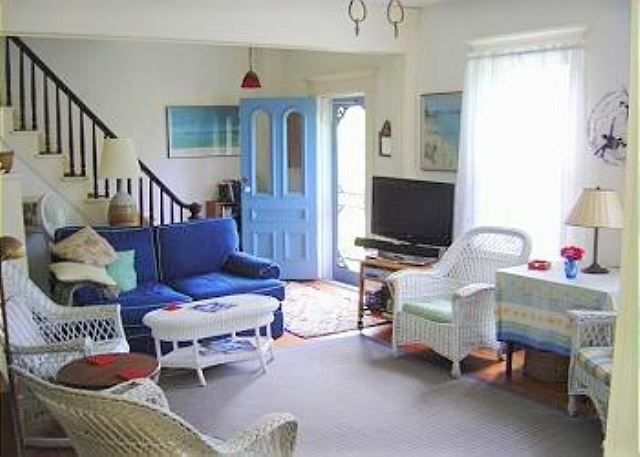 The front door leads to a wonderful deck with outdoor dining area and grill. 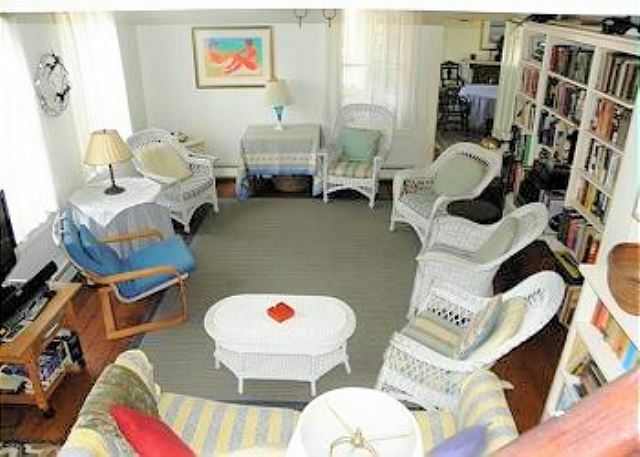 The living room has a variety of seating options, 42" flat screen TV, DVD player, stereo, and wonderful full bookcases. 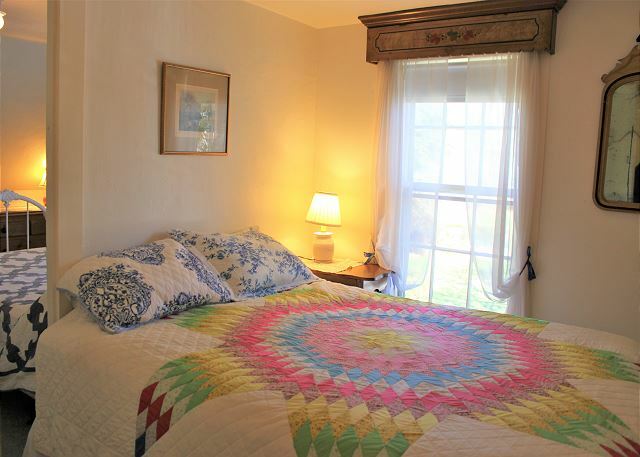 Off of the living room is the 2nd of the 3 queen bedrooms and an adjoining office area with WIFI internet, both with ceiling fans. 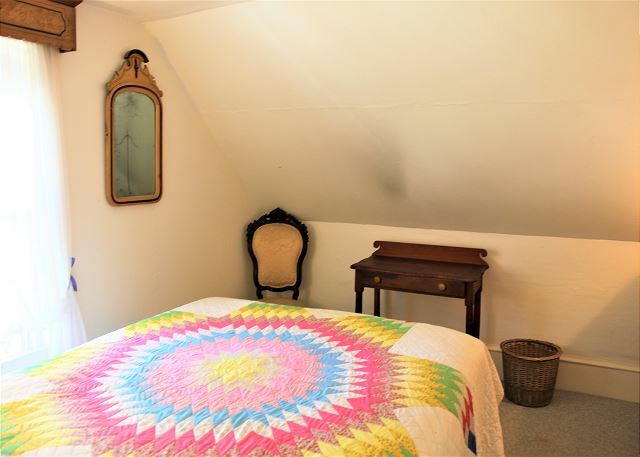 12 guests maximum allowed at any time. 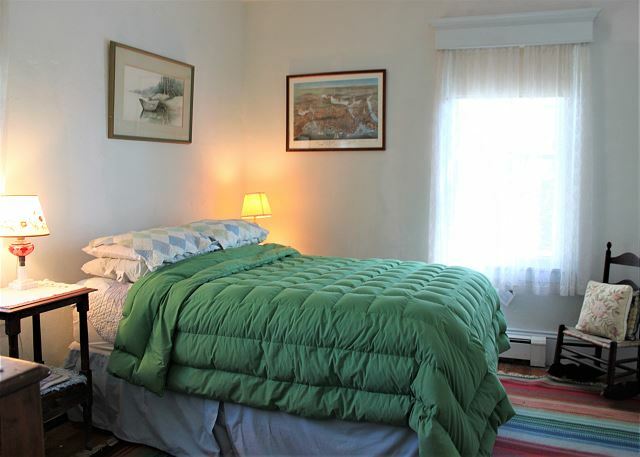 No parties exceeding the occupancy limit allowed. 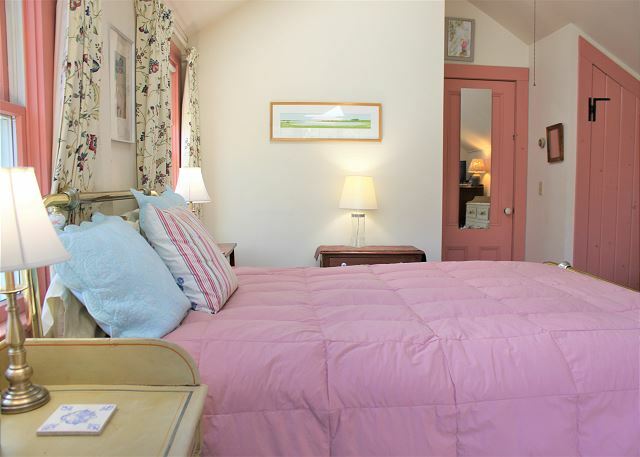 I found the house charming and enjoyed my stay completely.